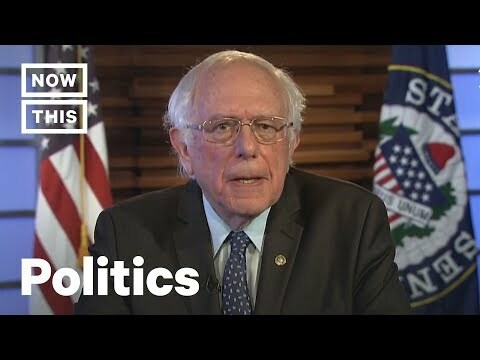 Watch Sen. Bernie Sanders' cutting response to Donald Trump’s 2019 SOTU address. President Donald Trump's 2019 state of the union address is in the history books, and Sen. Bernie Sanders is here to deliver a sharp response. While the official Democratic response to the State of the Union came from Stacey Abrams, Bernie Sanders recorded his own. Sanders addressed issues including income inequality, the economy, student debt, health care, reproductive rights, and opioids. Senator Sanders argues with Trump about the border wall and says it is not an emergency situation and that we don't need to build the wall. Bernie's speech was the polar opposite of the Trump speech.